This product is a newest energy-efficient decorative lighting,widely used in fish tanks,cisterns,rockeries,pet cages and other. It can provide oxygen for fish. RGB color changing led bar can make your tank look very beautiful,you can change the color according to your mood,and your fish and reptiles seen where they are swimming or moving. 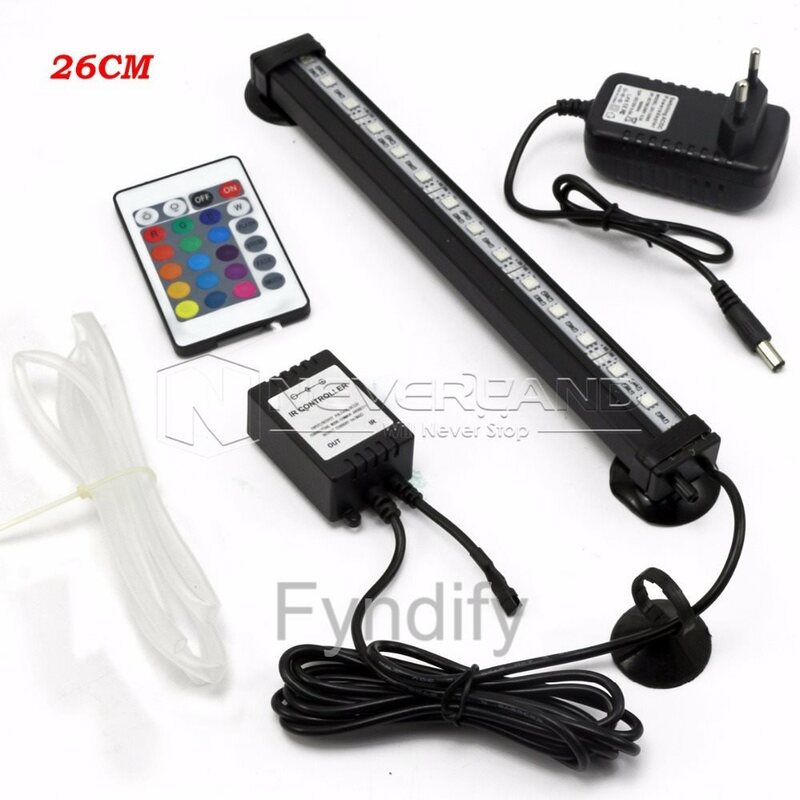 Full waterproof LED bar design,provide oxygen for fish. Come with a 24Key remote controller. The controller include offers 16 colors/ fading/ dimming,etc..,which creat a beautiful effect in the aquarium. You can also change the color with the switch,in case you can't find the remote controller. High quality 5050 SMD chips for high lumen output and good maintenance ,super bright. Low energy consumption & Environmental friendly. Higher Luminosity and longer life . Plug & Play, easy operation. You can use 2 or more led bars for a larger tank with one remote.